Welcome to our list of Useful Apps . 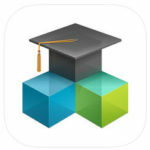 There are lots of interesting Apps out there but we know that finding good apps to support adult literacy and numeracy teaching and learning can be a very time consuming undertaking . We hope to make it a bit easier by providing comprehensive reviews of Apps including descriptions, OALCF competencies addressed, the subject or topic area covered, and how the App could be used for literacy and numeracy learning and to support engagement and motivation . We also include Apps that are useful for program administration, note taking, productivity, collaborative work and more . We are starting small but, with your help we will grow the repository, adding new apps on an ongoing basis . We invite you to help us build the list by submitting your own reviews – if we all share what we know and what we find most useful we will come up with a great list of apps and save time . 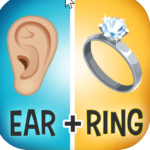 This app is a phonics program that consists of 262 lessons, each containing up to 43 pages. It can be used with beginning readers as well as struggling readers. 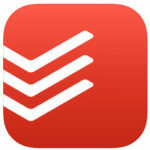 Todoist is a to-do list and task manager application that helps the user get organized. It is easy to organize tasks by assigning them to a project or by colour coding them. Users can share projects with others. 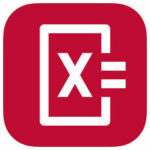 Photomath reads and solves math problems ranging from arithmetic to calculus. The math problems are solved instantly by using the camera on your mobile device. Math problems are then explained through animated steps or detailed instructions. 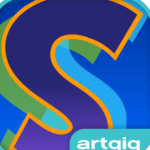 Pictoword is an entertaining word guessing game. Players “read” a series of pictures that combine to create a word. 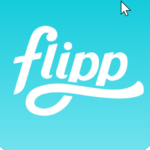 Flipp enables users to browse local retail flyers from hundreds of retailers based on your postal code. Users can also browse by product or brand name. This app is useful in itself, but is also a useful resource for learning activities related to budgeting, shopping, price matching, and money math and management. Shake-a-Phrase is a challenging but entertaining language game using “silly” phrases. 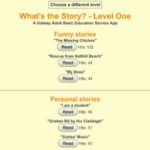 It is intended to provide vocabulary and parts of speech practice and for creative writing prompts. Users can review the definition of any word in a phrase with a single tap. 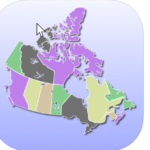 An entertaining and informative App to learn or test your knowledge of Canadian Provinces and Territories, Provincial Capitals and Provincial Flags. 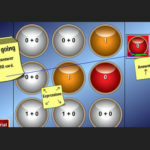 Mathopia+ is tile- matching game focused on basic math drills. Similar to jewel swapping games such as Bejeweled. As numbers appear on the screen users swipe to make matches. When a match is made the row disappears and harder numbers appear.The game is quite fast paced, but users can choose the level of difficulty. 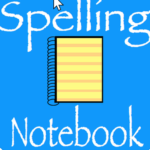 The Spelling Notebook allows users to create a personalized list of words to practice. Users can add words using the built-in searchable dictionary or record their own word lists Users can practice and test their spelling and hear each word spoken.